This is one of our distinctive features: All our breads “Cuvées” and “Grand Cuvées” are made from grinding the whole wheat grain… And this has great importance. Before grinding we only extract exclusively the outermost layer: the wood coloured with high cellulose and lignin composition. This layer is only digestible by termites! It is the so called “Bran”. Once the outer layer is gone, the rest of the grain (all the soluble fibre layers: the germ and the endosperm) is taken to grind in the flint stone. The germ of the cereal grain is the most nutrient-rich part: a concentrated source of essential nutrients such as vitamin E, folic acid, phosphorus, thiamine, zinc, magnesium, essential fatty acids and fatty alcohols. Most bread flour in the market, the so called “white breads”, are made with flour from grains of which the germ and the whole crust has been taken. 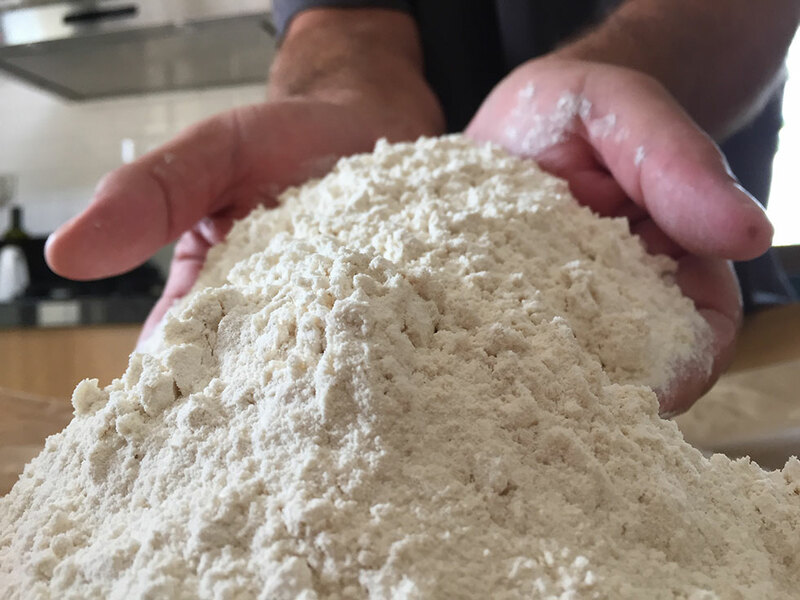 Whole grain flour provide all important nutrients such as vitamins, proteins, carbohydrates, essential fatty acids, folic acid, omega3, minerals and fibres from cereal. The breads that result from them have higher content in fibres, vitamins, proteins and lipids, and a much smaller percentage of carbohydrates than white breads, therefore being highly recommended for people who need low-carbohydrate and/or low sugar diets (for example, people with diabetes).